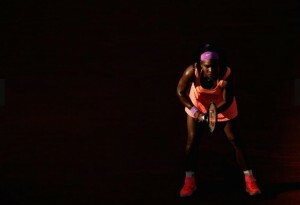 Mouratoglou: I know there are things that come to her mind, And when they do come to her mind, they make her incredible. Q: Do you discuss this? The mental strength, what do you attribute this to? Mouratoglou: There are things you can and can’t explain. I think first of all, she has a certain education from her family that makes her a really tough person, tough in competition, an unbelievable competitor. She was raised with nothing, she comes from nowhere and she became maybe the biggest player of all-time because of her mentality. Plus, I think, the father did it with both sisters, so it has to do with the education a lot. When education meets a personality like Serena, it creates, maybe the biggest champion of all-time. She has something she was born with and it’s her character. She refuses to lose. And when she refuses to lose, she finds solutions that are incredible.